Racing tactics, power and speed development, cycling biomechanics, laser precision bike fitting, power analysis, and nutritional guidance . Service packages include bike fitting, Dartfish motion analysis, VO2 Max and lactate threshold testing, power testing, and metabolism management. Training plans are offered with monthly pay plans and no contract. Group discounts are available. Coaching options with pricing are listed on my website. Contact me for more details. Coaching endurance athletes has been my full-time occupation since 2000, and I received my Level 1 coaching certificate with USA Cycling in 2007. I have been training endurance athletes of all disciplines since 1985. I practice a scientific approach to training, from basic biomechanics to performance testing, but I strive for greater intuition on the bike. I am certified as an NASM Personal Trainer, Sports Performance Specialist, and Corrective Exercise Specialist. With 42 years of experience as a fitness trainer and nutrition counselor in the body building and sports performance arena, I emphasize power and speed development through total body fitness. As well, I use my knowledge as a certified Pilates Reformer instructor to enhance my teaching of functional core training. My competitive bicycle racing career began in 1983 and has encompassed road racing, mt. biking, and triathlon. 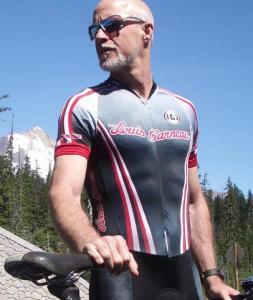 I am still an active road racing cyclist in Oregon. My athletes are required to have only 3 things... Desire, Discipline and Dedication. Success. Coach J.Michael Manning has been notified of your message.